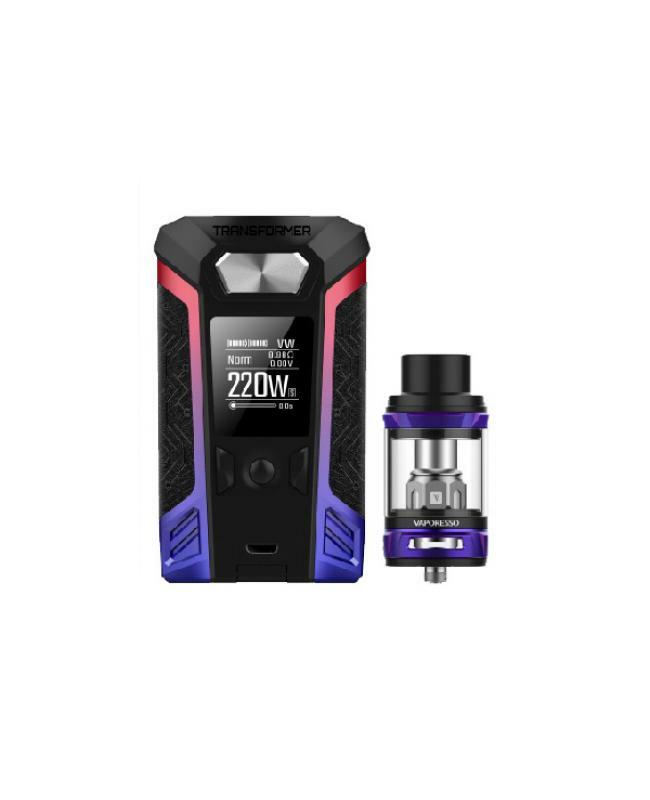 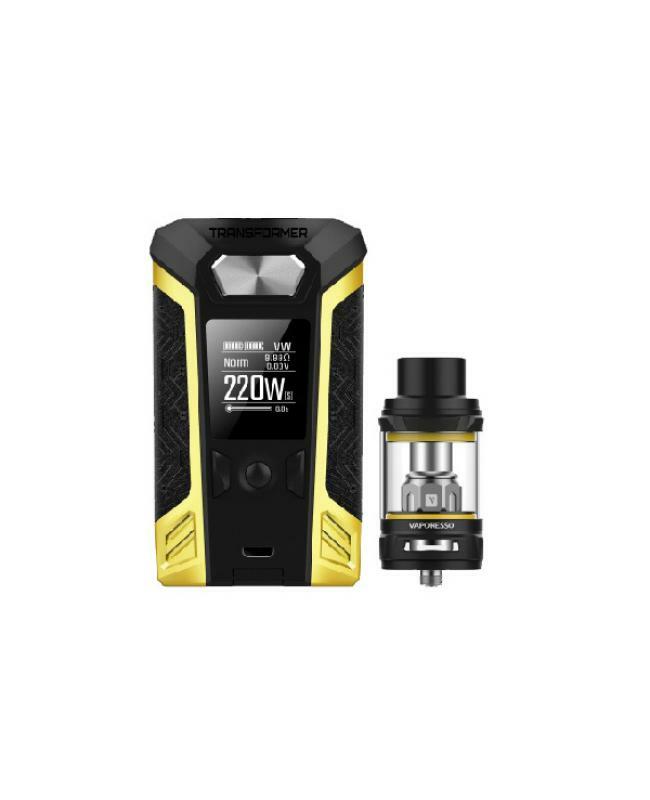 Newest 220W vaporesso transformer vape kit includes transformer vape mod and NRG tank, four fashionable colors available. 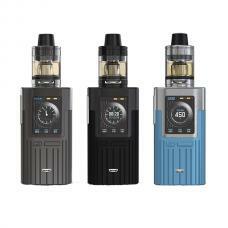 especially the RED&BLUE lighting version will make the vaping unique and fashionable. 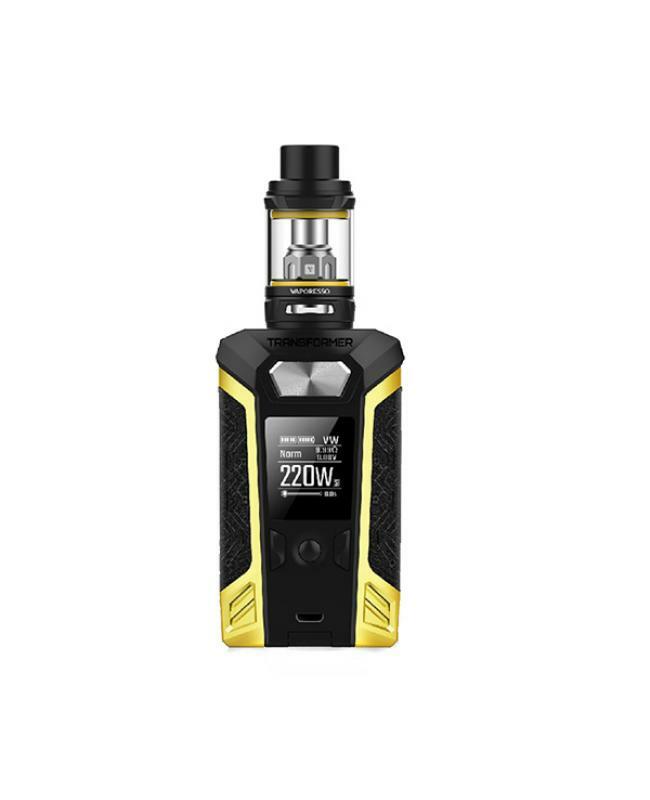 the transformer vape mod powered by 2pcs 18650 batteries and max output 220watts, supports resistance as low as 0.05ohm, built-in one large 0.96inch OLED screen, it will show you the vaping data clearly, the improved user interface will let the operation more easily. the vaporesso transformer built-in MONI 2.6 board, features the simplest operation with the newest addition of graphical virtual keys, "unlock" button, puff number statics and high power protection function for small power atomizer. the vaporesso vape mod built-in quick charge system, USB input protection and equalizing charge system, will let the vaping safe and reliable. 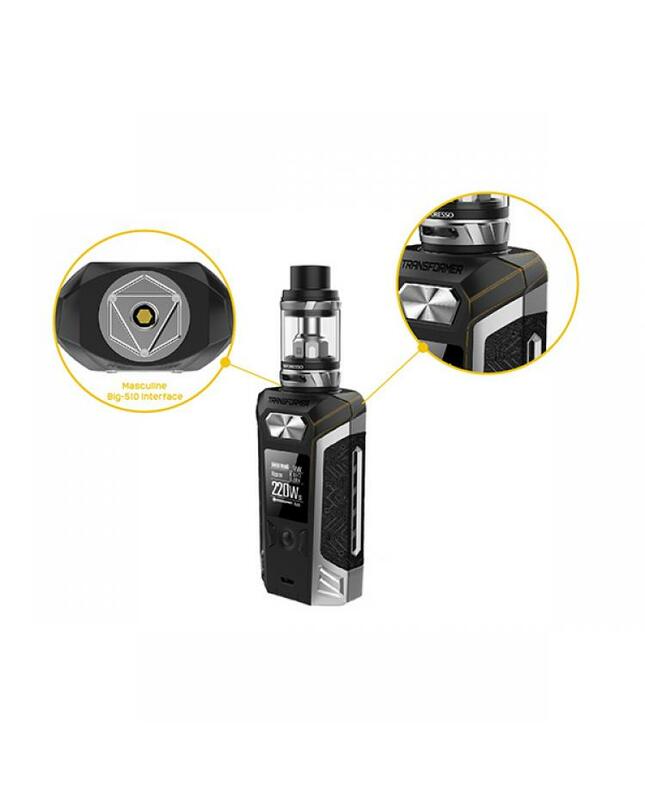 the masculine 510 interface holds the NRG tank secure and presents the power while the leather hand grip brings outstanding feeling. 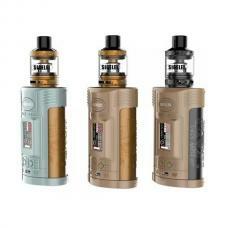 the NRG tank can hold 5ml e juice, featuring the innovative GT series cores, which specially designed to fit the NRG tanks, comes in traditional cotton and significant ccell ceramic in different resistances, from GT2 all the way up to GT8,no matter DL or MTL inhale, you always will get the right cores. 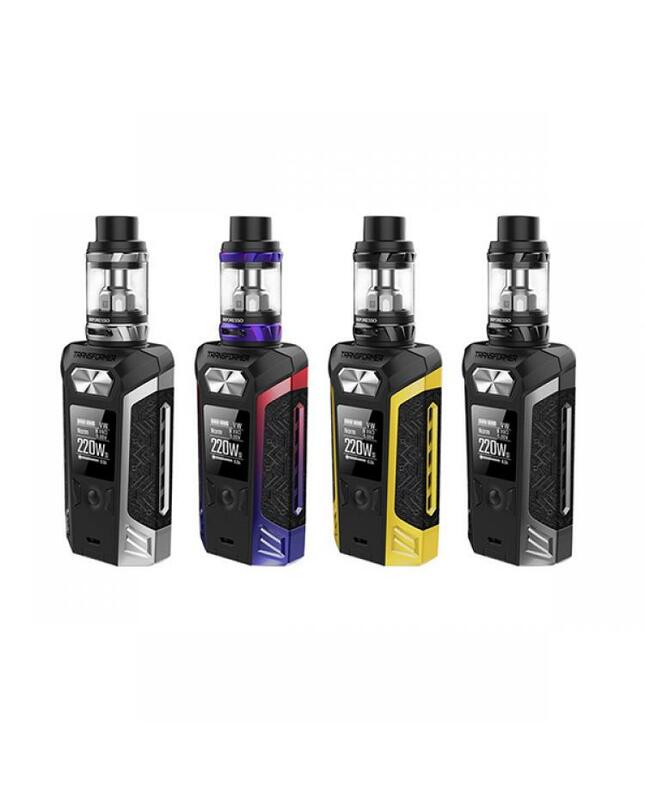 the vaporesso transformer also with revolutionary case replaceable design, vapers can order the other style case, can replace it by yourself easily.